Epson has partnered with Mercedes-Benz to help showcase products using the latest technologies at Australia’s only Mercedes me store in Melbourne. Mercedes me stores are like a mix between a classy cafe and a Mercedes dealership, where you can enjoy lunch and check out Mercedes’ latest offerings at the same shop. Epson’s involvement means customers can browse products in augmented reality, and enjoy displays and presentations from high-tech projectors. Epson’s Moverino BT-300 smartglasses offer customers a chance to view product features and customisation options in-store; in Mercedes’ case, customers can view what’s under the hood, view different colour options and learn more about safety features. Other apps for smartglasses at the Mercedes me store offer visitors a 360 degree racetrack video born from the partnership with Formula One team Mercedes-AMG Petronas. Decorations at the Mercedes me store are handled by a set of Epson LightScene spatial design laser projectors. These unobtrusive laser projectors are discreet but can pump out 2000 lumens and are used to show information and videos or offer projection mapping onto objects, all while blending into the scenery. The main presentation at Mercedes me Melbourne is handled by the Epson EB-1755UNL large venue laser projector, offering a multiple display video wall installation. Mercedes me stores aren’t about selling cars, but selling the brand. Mercedes’ history, racing pedigree and latest technology are all on show at the stores, paired with quality food and drink. Events at Mercedes me include live music, talks from important figures, and art exhibitions. A rotating car exhibit is shown and has included iconic Mercedes models from the past like the 300 SL to modern sports cars like the Mercedes-AMG GT, and even older Formula One cars. 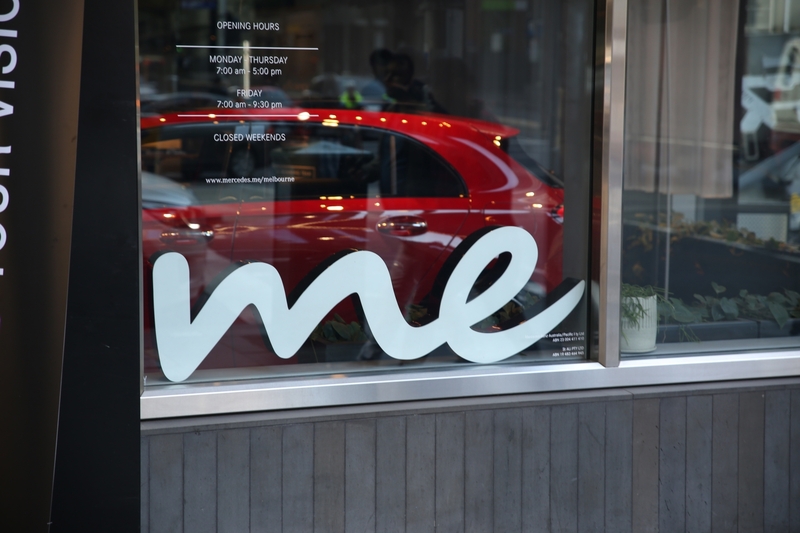 The Mercedes me store is open Monday to Friday and is located at 525 Collins Street, Melbourne.